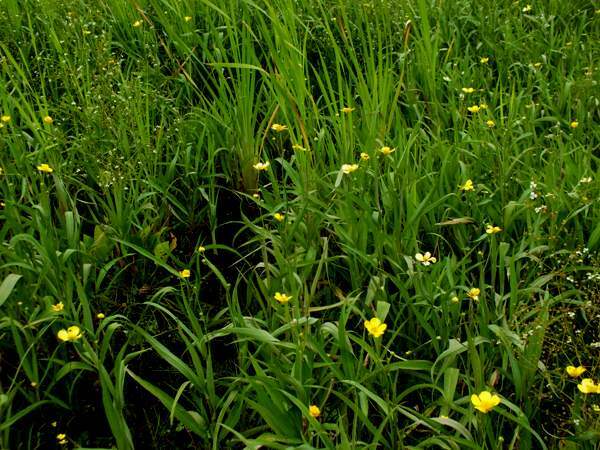 Very large flowers and stout stems help to distinguish this wonderful wetland perennial wildflower, one of the largest of our native buttercups. Its erect hollow stems have few branches and sometimes none. 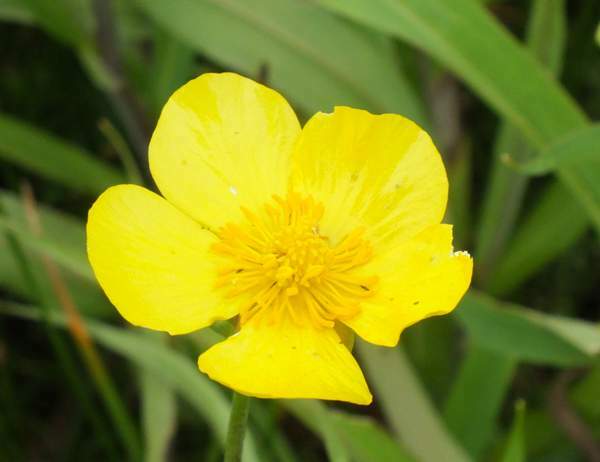 The cup-shaped flowers, typically 4 to 5cm across, have five glossy yellow petals. Long stalked basal leaves tend to wither before the flowering season, while leaves higher up the stems are lanceolate and either stalkless or with very short stalks. This lovely wildflower is localised in Britain and Ireland, particularly in the southern regions. Greater Spearwort is far less widespread than the Lesser Spearwort and generally prefers wetter habitats such as fens and pond margins. One of the reasons for its decline in recent years is the loss of its preferred habitat as a result of drainage of land to make way for more intensive agriculture. This specimens shown on this page were seen in Wales, UK, in July.